Wrinkles don't stand a chance. With a hefty 1200 watts heating assembly and powerful steam, the ST-1200 is tough enough for any ironing job. We stuffed this full-sized iron with features: a heat indicator light; a swivel cord; and an easy-fill, transparent water tank with a built-in cover. 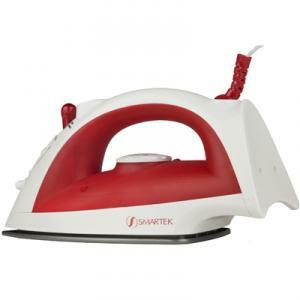 It keeps itself immaculate with its self-clean function, vertical shots of steam, water spray and non-stick soleplate. We packaged this powerhouse in a sleek and elegant casing that's comfortable enough for any user - even in extended use.